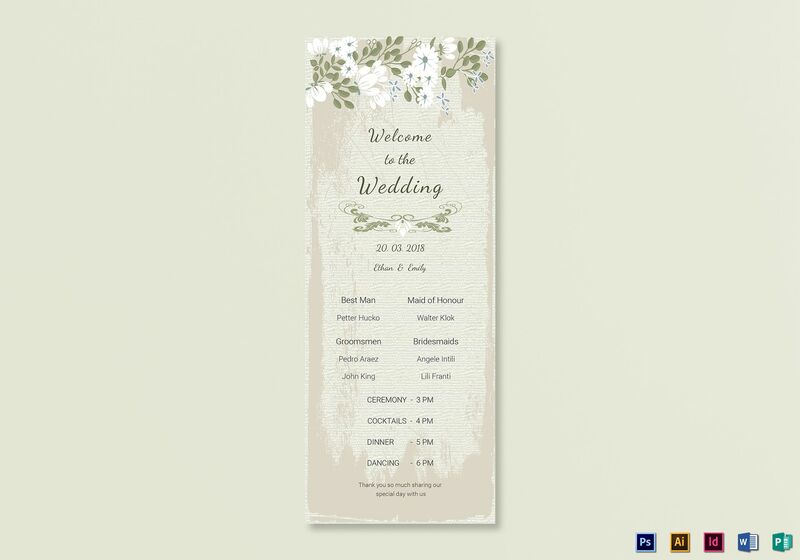 An elegant vintage wedding program card template that you can download, customize, and print at your own leisure. Easy to edit with various applications including Photoshop, Illustrator, InDesign, MS Word, and Publisher. The template uses high-quality photos and artworks. Download is lightning fast at a very affordable price. Can be saved through PC or mobile.